DOVER, NJ, August 7, 2018 -Casio America, Inc. is excited to announce the ECB800DB-1A as the newest model in its EDIFICE collection of men’s watches. 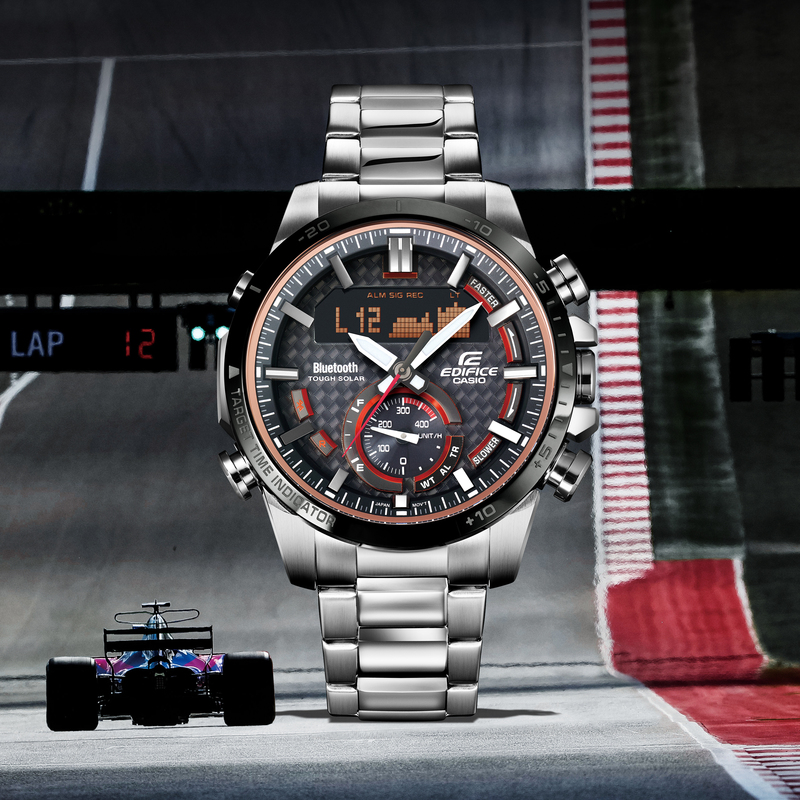 Inspired by elements found in motorsports such as speed, intelligence, and innovation, this smartly-designed men’s watch offers a bold design and enhanced timekeeping capabilities through smartphone connectivity. “We are thrilled to introduce the ECB800DB-1A to Casio’s EDIFICE collection," said David Johnson, Vice President of Casio’s Timepiece Division. “The new addition represents our continued commitment to delivering timepieces that offer sophisticated and bold designs, robust features and meet the needs of the on-the-go consumer." Casio America, Inc., Dover, N.J., is the U.S. subsidiary of Casio Computer Co., Ltd., Tokyo, Japan, one of the world’s leading manufacturers of consumer electronics and business equipment solutions. Established in 1957, Casio America, Inc. markets calculators, keyboards, digital cameras, mobile presentation devices, disc title and label printers, watches, cash registers and other consumer electronic products. Casio has strived to fulfill its corporate creed of “creativity and contribution" through the introduction of innovative and imaginative products. For more information, visit casio.com/home.